We had a week of summer-like weather, which made for a nice break from what has been a very, very rainy winter. 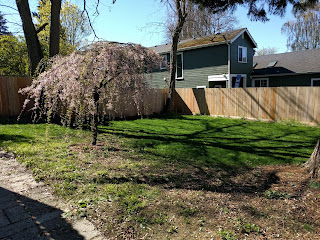 I got out and mowed the lawn for the first time since we moved into the house. 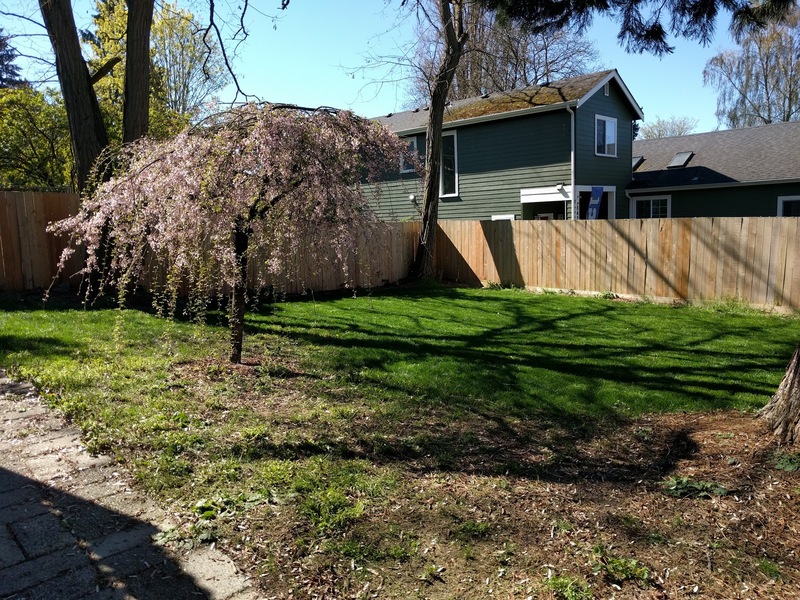 I discovered that the weeping cherry tree that is awkwardly planted in the middle of the yard is particularly annoying when trying to mow. The kids enjoy running beneath it when it has leaves, but I'm pretty sure we'll decide to dig it up eventually because of its awkward placement. Friday Mal and I joined our friend and several other riders for a ride from Gasworks Park to West Seattle. Perfect weather for a ride. We got some gorgeous views of a ferry ship in front of the mountains and of downtown Seattle. Then Ryan and I spent the evening watching brownsville song. I had a bunch of reading to do for my Food Science class this weekend, but we still got outside with the kids. 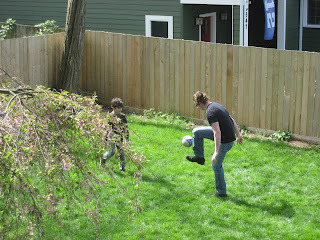 I played a little soccer with Gareth in the backyard while Mal screamed at us because he absolutely didn't want us to play soccer. 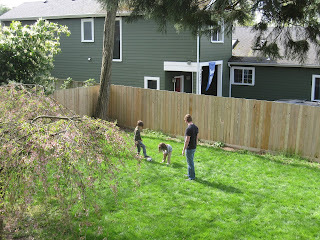 Then I settled in to do my reading on the deck while Ryan played with the kids. 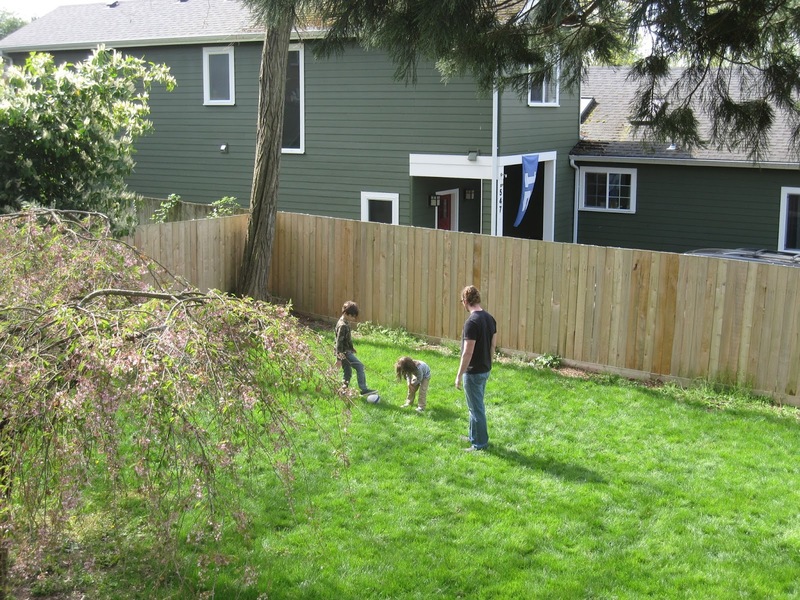 He kept them engaged in trying to knock a small can off the posts of the deck for an hour or two. 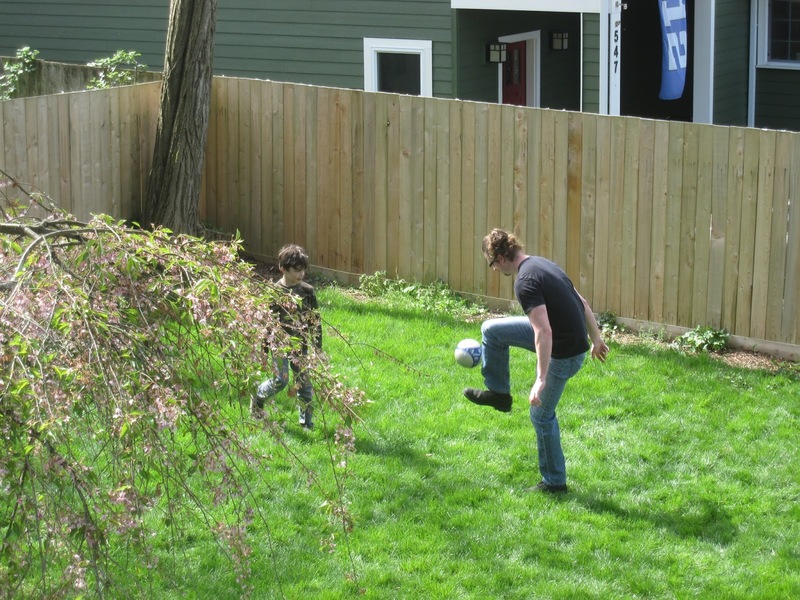 The next day he got Gareth outside and they played with the soccer ball and even got Mal to pass the ball a couple times. Gareth was really concerned this morning that this week couldn't possibly be as good as last week, because we're supposed to have a couple rainy days. But today has actually been rather sunny (and occasionally cloudy, but not rainy yet), so maybe he'll get lucky and it'll still be a great week. We're supposed to be back to summer weather by mid-week. And I've got Gareth a ticket for my movie music concert this Saturday, so I think it should be a pretty decent weekend at least.